The Bulls are known for their steely determination to succeed and low-key approach to life. While Aries your predecessor is impulsive, you on the other hand are more disciplined and calm. You want to plan things ahead of time so you won’t leave any stone unturned. Taurus Horoscope 2017 will surely come in handy for someone like you. So be guided accordingly. Taurus Horoscope Prediction indicates that high level of energy in 2017 will make you feel that nothing is impossible to conquer. Do not sit down and wonder where it’s all coming from, just bask in it. Take advantage of this surge of energy in 2017 to reach your goals. Your admirable determination coupled with your ability to work under pressure will enable you to reach greater heights. According to Taurus Horoscope Prediction, 2017 will be the year when your ambitions will take center stage. You’ll be able to take your strides with ample confidence this time. Your laidback side will not be visible in 2017 because you’ll be more gung ho in all areas of your life. 2017 is a good year to fall in love. Charming Taurus may seem flighty but truth be told, they long for long term relationships. Good news is that you will be lucky in love and chance of meeting your love match is high. Remember that the best matches for those born under this sign are Cancer, Capricorn, Scorpio and Virgo. Taurus love horoscope 2017 predicts that the Bulls will be more attracted to people who stimulate their minds. Unattached Taurus will be out to conquer love despite being busy at work. It will be amazing that they will not run out of energy despite having to juggle time between career and love. Those who are currently involved will move to further deepen their relationships. Marriage proposals will likely take place. On the other hand, single Taurus will be busy mingling and searching. Be careful though because this year you have a tendency to rush into love, so do not let your emotions get the better of you. Also, Taurus loves to impress the one their pursuing with their generosity. Thinking that spending a lot of money can win someone’s heart. Do not go overboard so you won’t get disappointed if things do not work out to your favor. Stay calm in your search because your Taurus Love Prediction shows that in 2017 you will meet your match. People born between April 21 and May 20 possess persistence and patience in achieving their goals. 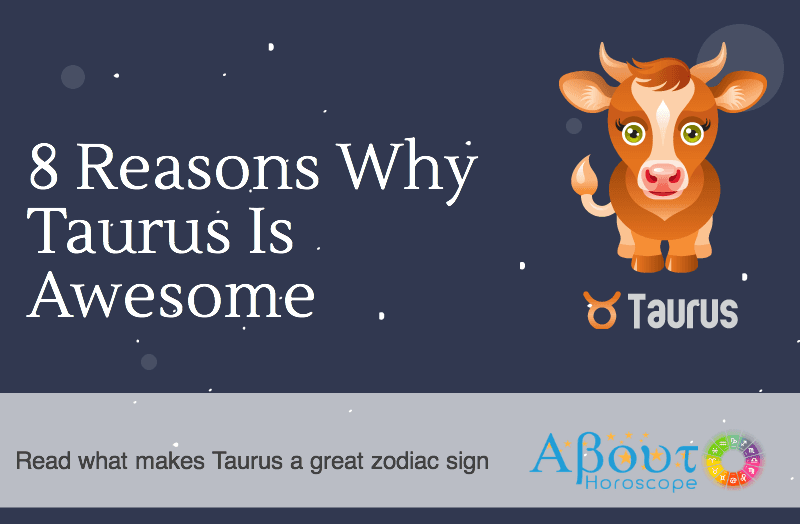 However, Taurus have the tendency to be content staying in the background. In 2017, you will be more assertive both in words and actions because of your stronger fixation on reaching the top. With Mars and Saturn on your side your confidence level peaks and taking risks will be part of your agenda. You will achieve even greater success when you become the initiator rather than sit back and just wait for someone else to lead. Those who are looking for jobs will find success in the fields of real estate, film industryand banking. While Bulls who are already employed will up the ante in 2017 and reach greater heights. However, this will not sit well with others. Try not to ruffle the feathers of higher ups or colleagues. Be kind and nurturing to your coworkers and avoid clashing with your boss. Tone down your stubbornness to avoid conflicts. Taurus students will double up their efforts in 2017. Teachers will surely be delighted with your academic performance. Your grades will shine in 2017 so do your best to stay on track. Even those who are working will seek to further enrich their knowledge. The desire to pursue higher education for career advancement will intensify.Your ability to focus will be at its best in 2017 so make the most out of it in order to excel in school. Your vigor in 2017 will overflow but there will be a tendency to neglect your health. Have time for exercise and avoid indulging in unhealthy habits. You will certainly have a hearty appetite in 2017 but remember to eat the right kinds of food. Avoid crash or fad diets. Get fit the right way. Make sure to get enough sleep. Don’t stay up too late socializing.Avoid the crowd that will get you into vices. Eat and drink in moderation. Pay attention to what your body is telling you. You need to be more sensible with money matters in 2017. Your desire for the finer things in life cloud your judgement. So curb your urge to overspend and be more focused on securing your future. Learn from past mistakes and use your earnings wisely. Have a solid financial plan and stick to it. You can enjoy life without breaking the bank. There will be luck in investments and you will also have additional sources of income towards the end of the year. When money starts flow, avoid unnecessary expenditures. Do not be lured into making hasty financial decisions too. Seek counsel from knowledgeable people and study all your options. Thread carefully to ensure financial stability and security. January – The start of the year will keep you busy especially at the career front. Trust your instincts and rely on your experiences when asked to make decisions at work. There will be opposing energies coming from your seniors but your ability to stay composed under pressure will shine through. February – The love month will be favorable for you. Single Taurus will be very active in the social scene. You are bound to meet and attract a lot of interesting people. Married or involved Taurus should be more open and honest with their partners giving way to resolved issues. March– This will be a challenging month. Office supervisors will get on your nerves but you can perform well under pressure so do not let them get to you. Avoid confrontations at all cost. Take a break to mentally and emotionally recharge. April–Challenges at work will continue to hound you. This can deplete your energy and cause a lot of stress. Find time for your family and seek support from them. Spending time with them will be very beneficial for your well-being. May – Brace yourself for money luck. This month will usher in good fortune. Treat yourself and family but avoid impulsive shopping. Watch your health. You will be quite obsessed with losing weight this month. Do it the right way so you won’t fall ill.
June – Your spendthrift side comes out of the closet this month. You love to purchase expensive goods so watch out this month and stay away from places that will tempt you to buy. If you are in a relationship, pay more attention to your partner this month. July – The pace at work will slow down. Focus on maintaining good relations with colleagues and bosses. If you run a business, try to improve your line of communication with your employees. It’s a good time to seek additional learning to update your knowledge and improve skills. This will be beneficial to your career. August– Money will flow from unexpected sources. Use it to settle old loans or invest. There may be issues among family members. You may have to step up to take on the role of the mediator or peacemaker. September–If you are looking for work, your efforts will finally land you a job. It is also a good month to start a new business venture. Stick to a fitness regimen and go on a healthy diet to achieve your desired physique. No shortcuts please, as this will have a negative impact on your health. October–Things will be brighter at the career front. You will be busy again with projects and new assignments. Avoid making financial decisions in haste. Conflicts may arise in your family. Members will count on you to help iron out differences. November – It’s time for some R and R. Dealing with family issues the past months will take its toll on you, so recharge. Love will find Taurus in unexpected ways. You might suddenly develop a deeper attraction for a longtime friend. Or may be an old acquaintance will reappear and catch your heart off guard. December–Your hard work will pay off this month. Promotions and bonuses will come your way. The year will end favorably in the areas of career, love, family, health and finances. It will certainly be a merry season. Enjoy! All in all your 2017 will be a good year. You will be bestowed with abundant energy that will help you overcome challenges at work and at home. Start planning now so you will be able to deal with the problems calmly and confidently. Have faith in your abilities and resolve to be more assertive and flexible. Learn from mistakes committed in 2016 and look forward to a better version of you in 2017.